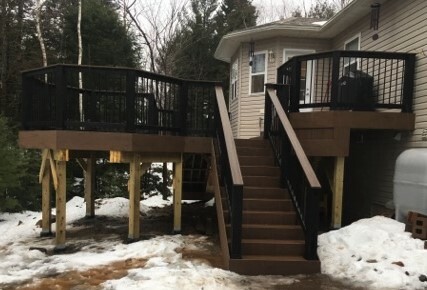 These homeowners in Lower Sackville chose a beautiful brown oak for their TimberTech Terrain composite decking. 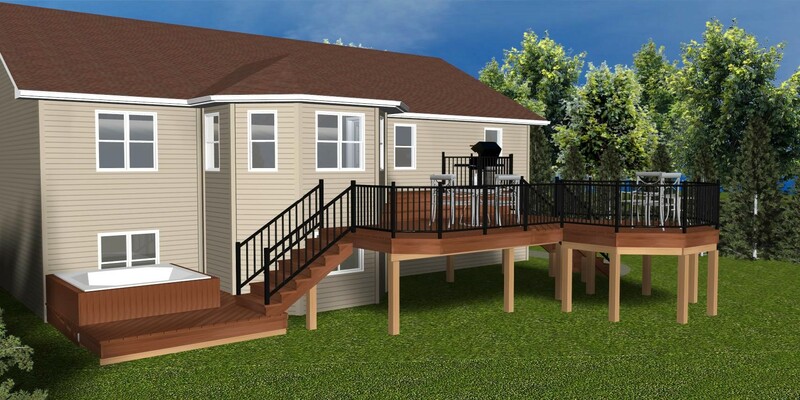 This outdoor design is complete with a landing for a hot tub off the main deck. 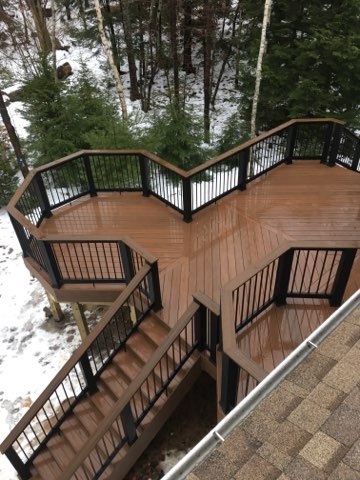 We can incorporate any type and size of home spa into your custom deck design! 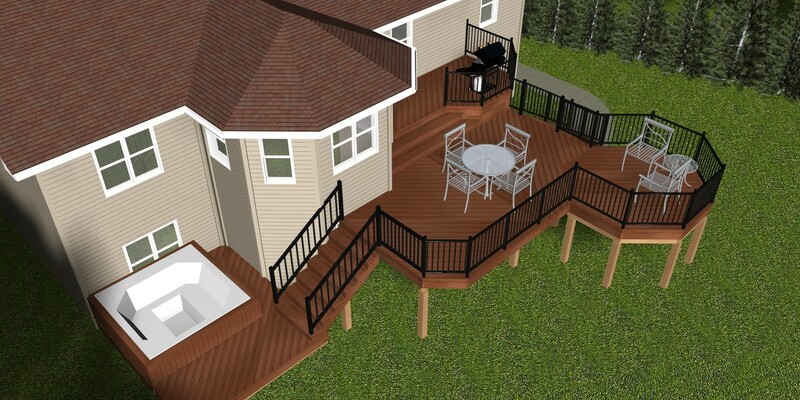 Bird’s-eye view of this backyard composite deck project. 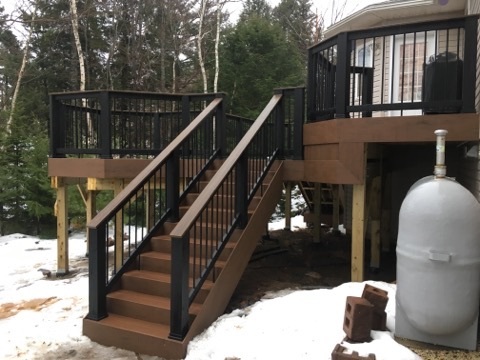 Along with the composite deck and stairs our clients chose a black aluminum railing! 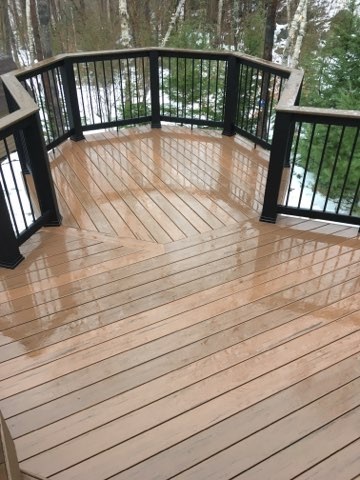 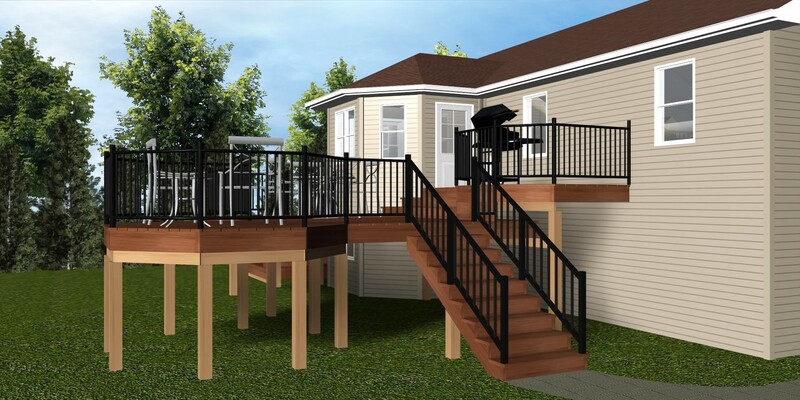 A second staircase is incorporated into this deck design to allow access to both sides of the deck as well as the yard, a great feature for both function and safety. 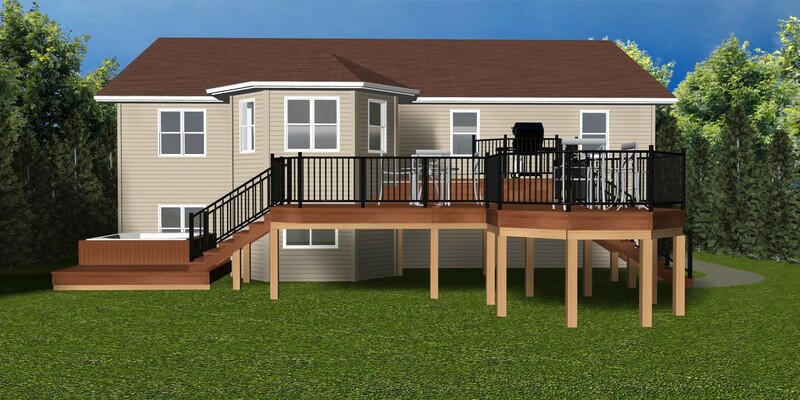 We have brought these design renders to reality for the Lower Sackville homeowners! 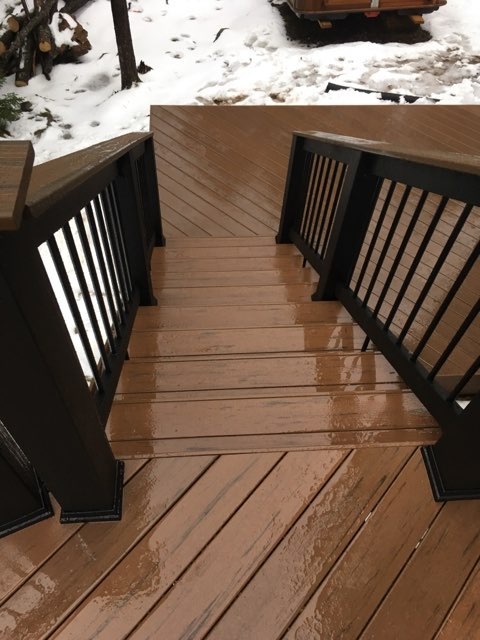 The completed project images are embedded below.